Engines hours unknown but very low, only used for 2 years. This neat and tidy Newbridge Venturer has an interesting story. Although this vessel was built in 1988, the first owner passed away and the vessel went into long term dry storage. We're told she wasn't actually launched until 2008 and this was onto Rutland Water, an inland freshwater lake. The sails and some of the other equipment were still in their original packaging until then. We understand that the Porta Potti has still not been used and the first time she ventured into salt water was 2014. 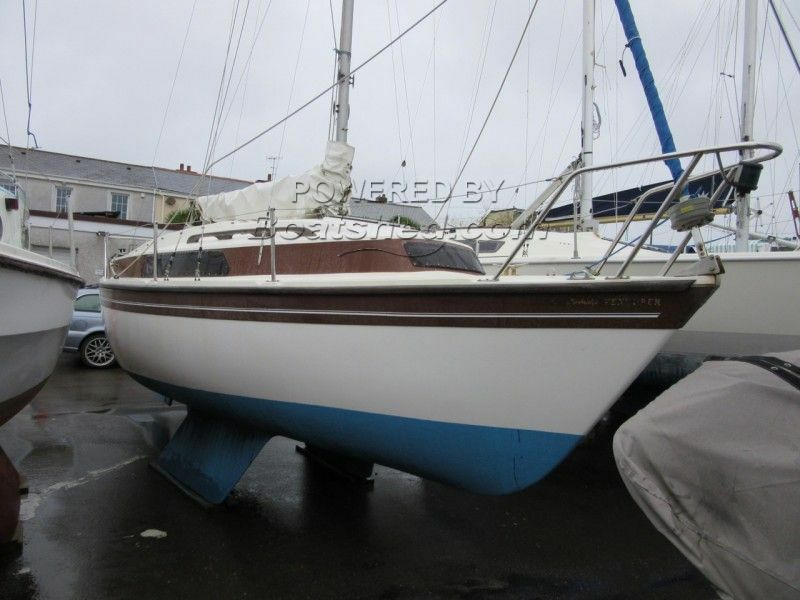 The current owner has improved her, brought her up to date and enjoyed a couple of seasons sailing around Plymouth waters. She had new standing rigging in 2014, new windows in 2015 and the engine was completely stripped, rebuilt and overhauled in 2016. An easy to handle, great little weekend cruiser boat all at a great little price. What are you waiting for? This Newbridge Venturer has been personally photographed and viewed by Jo & Billy Hallam of Boatshed Plymouth. Click here for contact details.